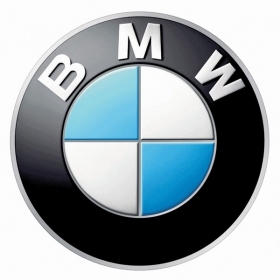 BERLIN (Bloomberg) -- BMW is being investigated by Swiss antitrust authorities for allegedly preventing vehicle sales in some European countries to Swiss residents. The Swiss Competition Commission said it has information that BMW distribution branches in the European Economic Area, which includes the European Union's 27 member countries as well as Iceland, Liechtenstein and Norway, are barring sales of BMW and Mini brand vehicles to customers who are residents of Switzerland. The Swiss franc has gained more than 9 percent against the euro this year, making BMW vehicles relatively more expensive in Switzerland, which isn't part of the European Union. BMW and Mini brand sales in Switzerland last year totaled 19,300 vehicles, spokesman Markus Sagemann said. In Switzerland, BMW is selling the 5-Series sedan from 62,200 Swiss francs ($64,018), including the 7.6 percent value-added tax, and the top-of-the-line 7-Series from 105,300 Swiss francs, according to the carmaker’s Web site. The starting price of the 5-Series in Germany with sales tax is 41,900 euros ($58,459) and the 7-Series is 73,300 euros. “We have asked BMW for comment after we opened our inquiries yesterday,” Patrik Ducrey, a spokesman for the commission, said on Tuesday. BMW could face a maximum fine of 10 percent of group revenue generated in Switzerland over the past three fiscal years, Ducrey said. The investigation may take as many as two years, he said. Such a fine would be fairly sizeable for BMW’s regional branch though Switzerland isn’t a key market,” said Daniel Schwarz, a Frankfurt-based analyst at Commerzbank AG. A BMW spokesman confirmed that the investigations are underway and declined to comment further.